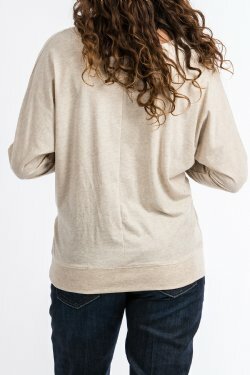 With effortless style any way you wear it, you'll love the relaxed feel of this cream colored long sleeve dolman top. 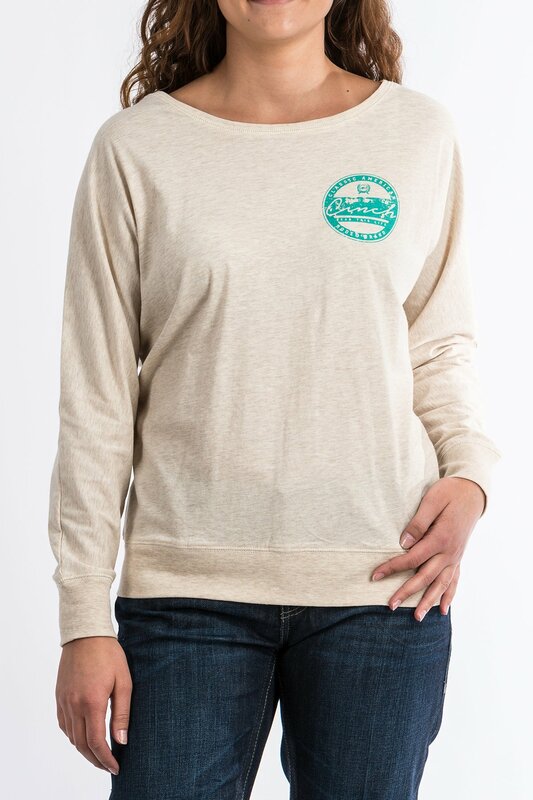 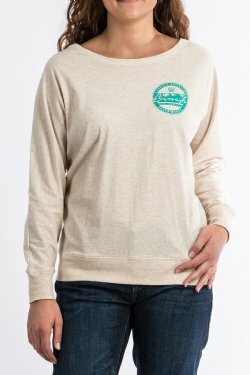 This top is constructed in a soft cotton-poly fabric and features a stylish front CINCH logo screen print. 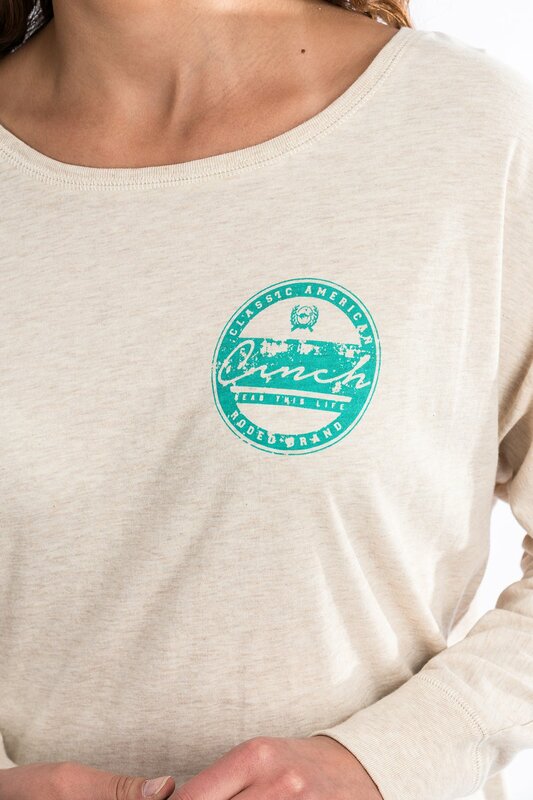 A perfect pick for grabbing lunch out with friends. 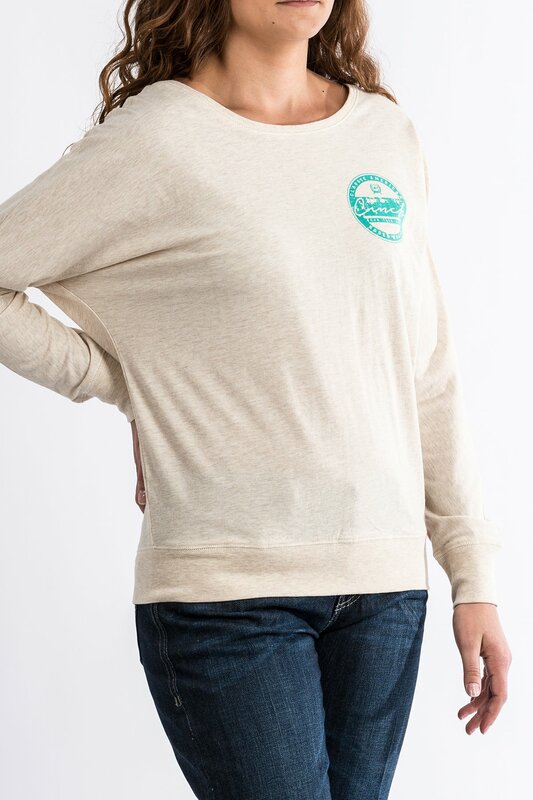 This CINCH Women's Gray and Red Raglan Sweatshirt looks fantastic with CINCH women's jeans and leggings and is available in a variety of sizes.